Yeah, I'm actually quite familiar with VW's diesels, having been brought up in a VW family (my father was a VW service manager...one of my daily drivers during high school was a Rabbit diesel) and owning about a dozen of them over the years. The Rogue replaced a 2000 New Beetle GLX, and the ultimate decision came down to between the Rogue and Tiguan. Anyway, my point wasn't actually about fuel efficiency, but more about technology. It was an interesting experience, having the engine shut down at stops and while coasting, and running on the electric at low speeds. Like I said, I don't think Nissan will bring anymore hybrid model. But I hope they will generalize the start/stop feature which seems to lower the fuel City consumption by about 20%. That is a really neat feature which is starting to be the next standard in Europe (first question being asked about a new model: Does it have the start /stop feature?). By 2012-2013, all new models should have it (technologically, they just need some more software lines of codes, few more sensors, and a beefier starter to endure more starts than usual). Would be nice if the new Rogue has this feature. I'm usually not a big fan of Edmunds. They are reporting no changes to the Rogue for 2011... but I am very skeptical of this. 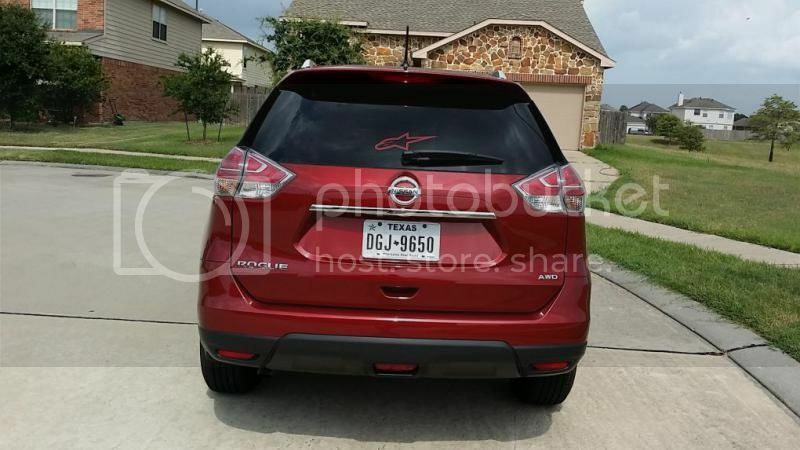 * 2013 Nissan Rogue: Although it debuted as a 2008 model, the Rogue isn't expected to get any major changes in the near future. With so many other Nissan projects slated for the next 24 months, the Rogue may have to wait until 2012 to receive a midcycle refresh. My wish...change out the "pickup style" doors and put a full doorsill so there's more weather protection than the current seals provide. After some very wet weather last season, at last I understand how the lack of a doorsill causes more wear on the paint and increases the potential for corrosion due to the rubber seals grinding grit and muck into the paint. I work hard to wipe these seals every time I wash the car just to yank out the grit that gets trapped beneath the seals. Also, give consumers more interior color choices--a black dash is just way too common these days! Nissan has released details regarding the 2011 models. I will list the changes in a separate thread which will be added to the Official Rogue FAQ. I'm liking the Nav/ larger radio display and of course the AUTO headlights. Just wishing I had this feature. After test driving a new Juke this afternoon it wouldn't surprise me to see a lot of it's innovative features incorporated into the 2012 Rogue. Release lever for Gas tank cover? Can not find it. I'm not afraid of somebody stealing gas from the the tank but very much afraid of sugar alternative like splenda or stevia going into the gas tank. Where is the free king lock? tikblang wrote: Release lever for Gas tank cover? ...Where is the free king lock? The Rogue does not have a locking or remote release gas door. 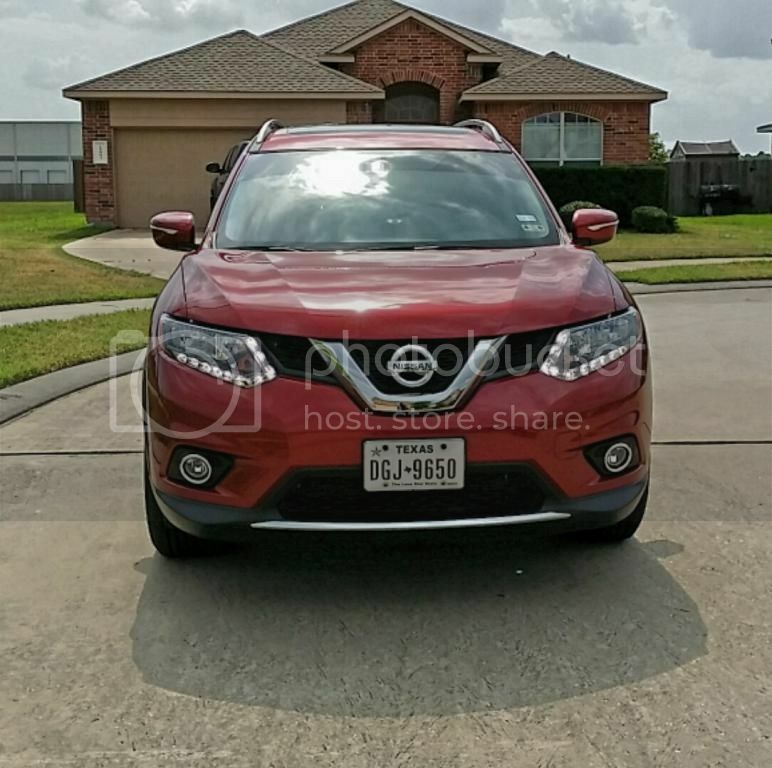 - Last year, Nissan Sport magazine mentioned that an all new Rogue is in the works. So the countdown has begun... the New Rogue should be unveiled sometime next summer. We may even get a concept car glimpse before then. In the meantime, we continue to keep our eyes open to see what happens with the Qashqai and Dualis. The Qashqai was released in 2007 and is due for a redesign this year. Since the Rogue is the Qashqai's 'younger brother', the new model could well predict what the next gen Rogue will look like. - Improved smart keys - ours is very finicky! I think the re-designed Rogue will be quite different from the current model, and I'm hoping the Powertrain is one area with some significant improvements. In particular, I think Nissan needs a "next gen" engine with GDI (gasoline direct injection), and/or smaller displacement turbo, possibly both. Much of the competition already has these new engine technologies in current models which provide high horsepower AND much better fuel efficiency. Kia/Hyundai for example have recently released their 2.4L Theta GDI engine which makes around 200 hp and significantly more efficient than the regular 2.4 (depending on which vehicle it is in, small car, mid-size sportage and larger Sorento CUV). Ford has the EcoBoost GDI and turbo combination in several new engines and I believe GM is on the verge of releasing a GDI "EcoTec" engine. Somewhat surprisingly Toyota and Honda have not taken this route yet, probably due to heavy reliance on gasoline electric hybrids, Toyota in particular. That covers most of the major players except for Nissan, I'm not sure what their stategy is and there doesn't seem to be too much information to go on. They seem to be involved in several areas including development of their own hybrid electric system, development of a next gen CVT transmission, claims of developting small displacement turbos but I'm unsure about the development of GDI technology into existing engines. Whatever they're planning, I'm expecting something big, and I'm guessing there will be a few more powertrain choices than the current lone 2.5QR engine. There definately will never be a V6 and that is great, I'd predict a 1.6 or 1.8 L turbo GDI, and perhaps a screamining performance 2.5 GDI that will have to make around 200 hp and get a few mpg's better than the current GDI. The CVT has been in constant evolution and I'm sure that will continue with a new and improved model, further pushing fuel efficiency. Personally I'd hope for a manual transmission offering as Kia/Hyundai currently has on all of their models including the brand new redesigned Sorento, Sportage, Tucson and Santa Fe (new design coming next year). Stiff competition should stimulate some amazing things from the next generation of the Rogue, and we're getting closer to knowing details perhaps as soon as next year! And second, the engine choices are going to be much more interesting than previous models, in particular the Altima 3.5 V6 will be elminated and replaced with a supercharged OR2.5. There may be a chance the Rogue will finally get the high horsepower performance powertrain that some have been asking for, but I wouldn't hold your breath. More likley the Rogue will offer a small displacement turbo 1.6 or 1.8L to replace the current OR2.5 with equivalent power and superior efficiency. Also the Altima will be offered as a hybrid, and the Rogue may follow suit at some point in the near future, making it one if not the only small crossover hybrid, as the Ford Escape WILL NOT offer hybrid option any longer with it's redesign hitting markets in 2013 model year. sO are we going to see the New rogue in September? The popular Nissan Rogue is designed to offer excellent value, while satisfying both the functional needs of the buyers and their emotional needs - including the versatility provided by a large 58 cubic feet of cargo space combined with a 60/40 split rear seat and an available fold-down front passenger seat. Utility is enhanced by numerous storage and ultra-functionality features, including an oversized glove compartment and a large center console. Rogue also offers 28 mpg fuel economy, as well as a range of standard safety features including six air bags. For the 2013 model year the Premium Edition replaces the previous Premium Package (SV models), adding front fog lights and Bose® audio system with 7 speakers and subwoofer. Also, a Bluetooth® Hands-Free Phone System and two additional speakers (6 total) are added to Special Edition Package (S models). Every Rogue features a standard 170-horsepower 2.5-liter 4-cylinder engine, advanced Xtronic CVT® (Continuously Variable Transmission), Vehicle Dynamic Control (VDC), and 4-wheel disc brakes with Anti-lock Braking System (ABS). It is available with an Intuitive All-Wheel Drive system. Other technology and convenience include available 6-way power driver's seat, power driver's seat lumbar support, RearView Monitor, Bluetooth® Hands-free Phone System, and Nissan Intelligent Key®, Nissan Navigation System and the innovative Around View Monitor™. The 2013 Rogue is offered in three trims, S, SV and SV with SL Package, along with two options - Special Edition Package and Premium Package. It goes on sale in August 2012. 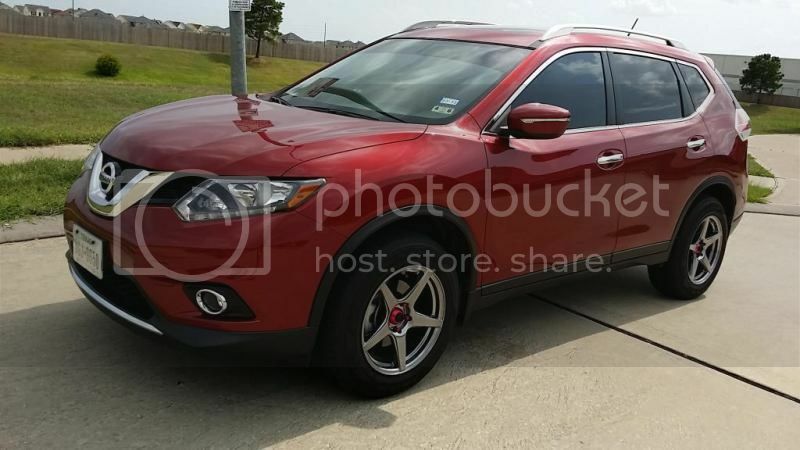 I just looked at a 2013 Rogue and it looked just like the 2012 version with no big upgrades. Next year it will get a complete redesign and hopefully the new CVT like the Altima. So how do I post pics in here? nismo75 wrote: So how do I post pics in here? Does anybody know of any model changes for 2016 model year Rogue? Colors? Different engine options? It's likely that nothing will be known about the 2016 model until summer 2015. They'll likely add a few new things to keep up with the competition, especially since the changes from 2014 to 2015 were almost nil. Probably won't get a more thorough refresh though until 2017 or 2018 when the model hits mid-life. The wipers not being able to go upright to scrape or clean is really going to piss me off for the next 3 years! Hope that's fixed!